There is no wrong that you look for the best baby floor seat for your little one. An attractive quote reads ‘sometimes the smallest things take the most room in your heart’. Yes, this quote very well goes with a new member of your family. With all pain, you have so far protected your baby in your arms providing her the required warmth. Now that she can hold her head up and you should understand that she will naturally have the interest in seeing the things around her. So, this is the right time to get the best baby floor seat for her. What is a baby floor seat? If you have not heard the term earlier, you might be interested in learning what the product is all about. It is a chair or safety gear to hold your baby safe in sitting position. 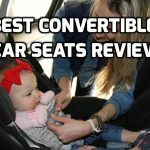 As she is yet to grow to sit on her own, it is highly important that you should select the best baby floor seat that will be safe for her growing spine. Is investing on a baby floor seat really essential? This seat will provide the opportunity for your little one to interact with the things happening around her. Better support for your baby during the early developmental stages. Some infant sitting chairs can put the little bodies in unhelpful and unnatural sitting positions. This type of chair with scooped out bucket seat permits moms to put their babies in them before actually the baby has achieved the development required for sitting in a seat. In addition, you should remember that poor positioning of the pelvis can affect the posture of the entire body of your little one. This can lead to rounded back and even for some babies, it can lead to squashing of the back of the neck. As against their bums, little ones generally learn to sit using their feet and legs. This means that you can go for the chair that permits your little one to use her entire legs and feet to be in contact with the surface in which she sits. This means that she will be able to get a bigger sitting surface. Also, it will help with better balance. In addition, make sure that the chair that you choose should provide some space for the legs to move as against the baby’s legs being completely immobilized. Shopping tip: You can go for the best baby floor seat that provides support under the legs of the infant and permit her to move. 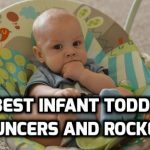 In general, babies who do not know how to sit tend to wobble. So, it is highly important that the chair that you shop for the little should support better support for wobbling. To permit wobbling, the seat should permit the baby to use her arms to correct the wobbles. Buying tip: Considering this factor, you can choose the best seat to help baby sit up with a tray that comes to the level of the chest. If such a tray is present, the baby will use her own arm to support in the case of wobbling. In addition to these features and the three factors mentioned above, you should also consider the growth of your baby and should accordingly make the right choice. Of course, you should consider the suitability of the seat accordingly to the age of your baby. Furthermore, these seats are available in different materials like all over polyurethane seat, plastic or polyurethane seat with seat cover made out of washable fabric, and plastic seat with removable foam liner. Bumbo multi seat is the most popular choice when it comes to chairs for babies. It is called as a multi seat because it is a 3-in-1 unit. Yes, not just as a floor seat, it can also act as the baby booster and feeding seat for your little angel. This chair is suitable for kids from 6 months to 3 years and so it is an excellent investment as it is designed understanding the growth of your baby. As the leg holes are not adjustable, you might have difficulty in taking your baby out, if your baby has bigger thighs. As the back is up high, this seat can provide excellent support to the back of your baby. This feature makes it the safe first seat for your baby. It is made out of durable material, but it is lightweight and easy to wipe. The placemat is decorated in attractive colors like the color of watermelon, orange fruit, and blue berry in different colored chairs. The colorful placemat is an attraction for babies. Even though the placemat is colorful it comes off easily when you wash.
To ensure safety positioning of your baby, this baby chair comes with a rigid center piece. As the chair grows with your baby, you can stay confident about investing in this chair as the first floor support chair for your little one. The play tray with this unit has 8 interactive features inclusive of rotating lion, reversible squeaker pad, teether, and twist bendy stalk with a rattle, spinning flower, and roller bead ball. All these things will keep your baby engaged and joyful when she is seated on the chair. You have the option to use the chair with or without tray attachment. The deep seat and high back will provide the best protection to your kiddo. The con associated with this product is that it is suitable for babies only until their 9 months. The foot of your baby can rest on the fabric covered mat. The foot pads when kicked by your baby will create squeaker sound to entertain your kid. The excellent feature associated with this chair is that you can fold it for easy travel and storage. The accompanying tray that comes along with this chair can be stored under the folded seat. This chair weighs close to 8 pounds, which might not make it the ideal travel companion. The squeaky sound is produced only when it is hit hard and so your baby might not do this with his little legs. This is yet another innovative addition to the lineup of the best baby floor seat. Its design is the most important aspect that makes this chair the ideal choice for your baby. The user-friendly design along with the safe plastic used in the manufacture of this chair ensures durability and comfort. To ensure portability and easy storage, this chair comes with a tray included at the base of the chair. You can use this chair until your baby becomes a toddler as the soft foam insert removes to grow with your little one. There is also a safety strap to keep the baby chair secured to your dining chair. No toys are included in this product and so there is nothing to entertain your baby when she is seated. It comes under the category of chairs for babies with medium weight. If you prefer a lightweight model, this can be an issue for you. In addition to providing the tray for feeding your baby, this reclining chair comes with three reclining positions. This means that in addition to spending playtime, your baby can also sleep in this chair. Its compact size makes it ideal for usage in any place. Three recline positions, 2 height positions, and 5-point adjustable harness helps you choose the position that is ideal for your baby. You can easily convert the chair into an upright chair or a reclining chair on the basis of the mood of your baby, whether she wants to play or sleep. The seat pad provides utmost comfort to your baby and it is machine washable as well. At the end of the day as the popular saying goes ‘the most precious jewels you will have around your neck are the arms of your children’. But, you cannot always carry her wherever you go. She also needs some place to spend her time apart from your hands. So, you can do the best favor for her growth by choosing one of the best baby floor seats for her. Are you ready to make the best choice?